Hello, and welcome to my page! I’m Rob, 30 something year old and an an avid amateur hiker from Los Angeles, California. I who spend half my time in Cali and half my time in Omaha, Nebraska where I moved to for four years before coming back to LA. It’s in Omaha where I fell in love with the outdoors – kayaking, fishing, hiking – you name it! I enjoy hiking every weekend and going on bigger trips. My favorite backpacking and camping area is Yosemite in California, but I also like to go to other areas. I typically prefer mountain terrain, but sometimes will do some beach camping. I like posting about some of the trips and provide camping tips, advice, trail information, and product reviews. I don’t write everything myself – I team up with other authors who regularly contribute. 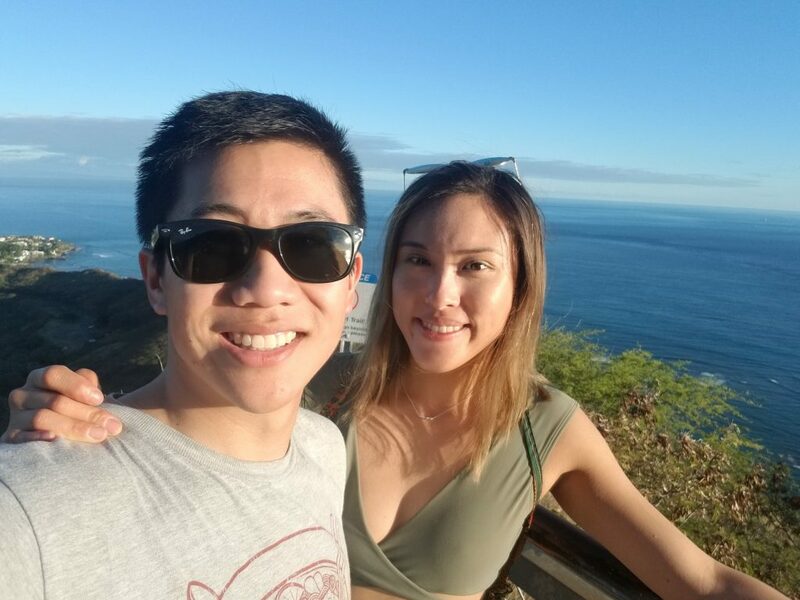 One of them is my gorgeous girlfriend Amy, pictured above with me where we recently went hiking at Diamond Head Crater on Oahu, Hawaii.